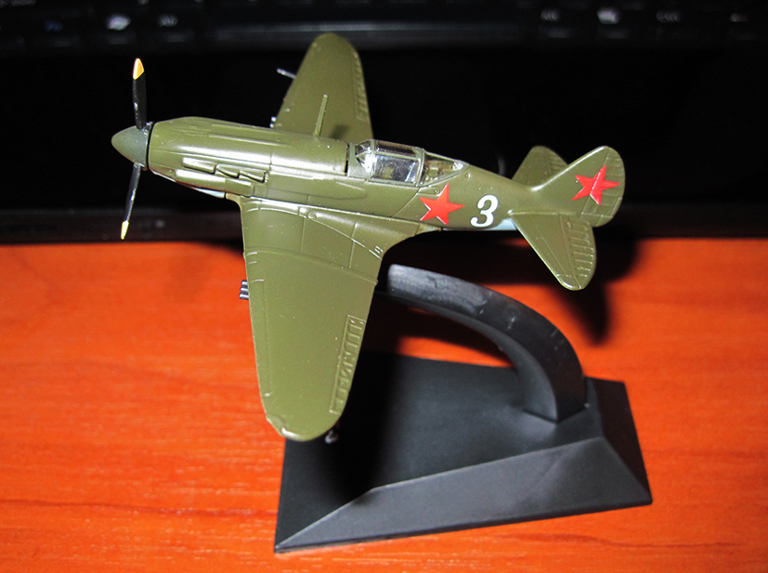 The Mikoyan-Gurevich MiG-3 (Russian: Микоян и Гуревич МиГ-3) was a Soviet fighter aircraft used during World War II. It was a development of the MiG-1 by the OKO (opytno-konstrooktorskiy otdel — Experimental Design Department) of Zavod (Factory) No. 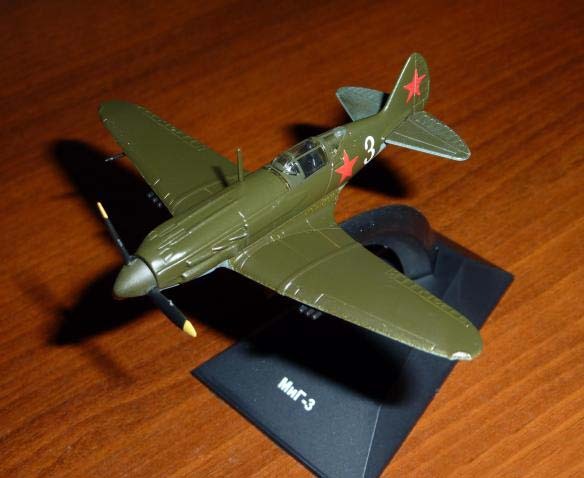 1 to remedy problems that had been found during the MiG-1's development and operations. 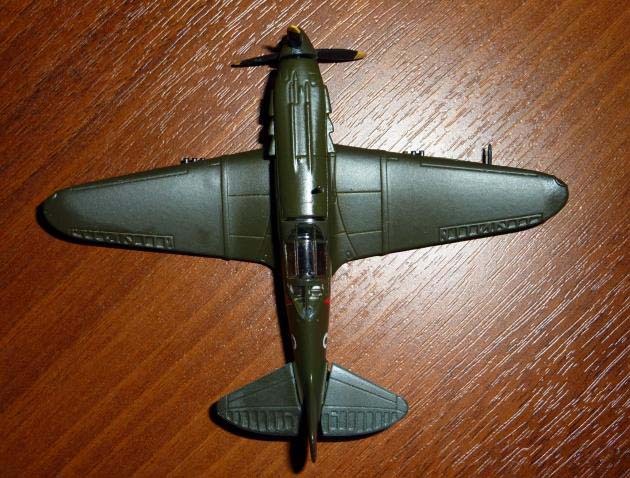 It replaced the MiG-1 on the production line at Factory No. 1 on 20 December 1940 and was built in large numbers during 1941 before Factory No. 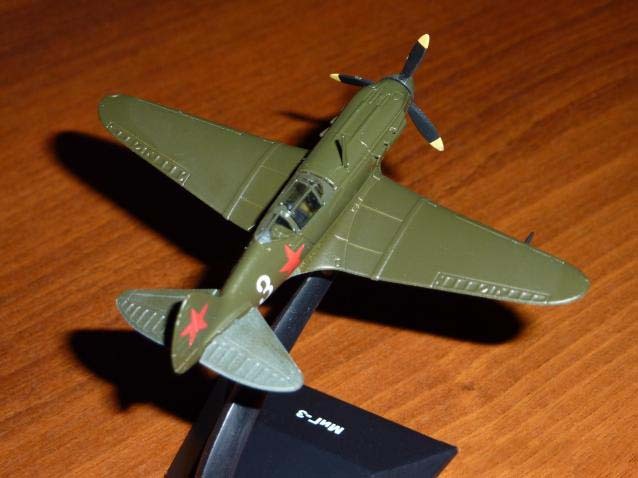 1 was converted to build the Ilyushin Il-2. On 22 June 1941 at the beginning of Operation Barbarossa, some 981 were in service with the VVS, the PVO and Naval Aviation. 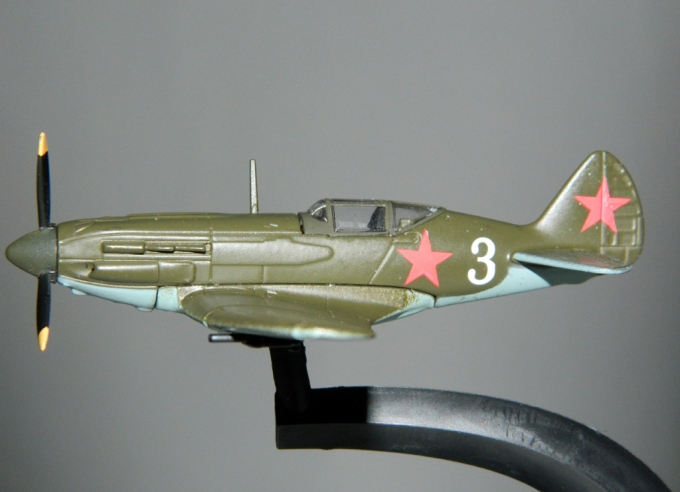 The MiG-3 was difficult to fly in peacetime and much more so in combat. 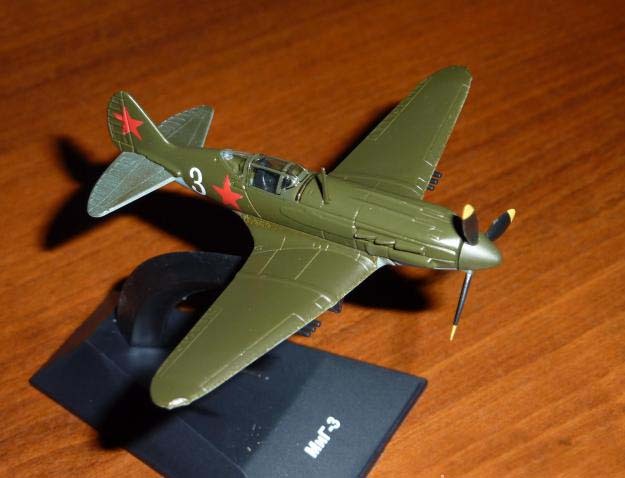 It had been designed for high-altitude combat but combat over the Eastern Front was generally at lower altitudes where it was inferior to the German Messerschmitt Bf 109 as well as most modern Soviet fighters. It was also pressed into service as a fighter-bomber during the autumn of 1941 but it was equally unsuited for this. Over time the survivors were concentrated in the PVO, where its disadvantages mattered less, the last being withdrawn from service before the end of the war.